The paper concerns with an algorithm for approximating solutions of a variational inequality problem involving a Lipschitz continuous and monotone operator in a Hilbert space. The algorithm uses a new stepsize rule which does not depend on the Lipschitz constant and without any linesearch procedure. The resulting algorithm only requires to compute a projection on feasible set and a value of operator over each iteration. The convergence and the convergence rate of the algorithm are established. Some experiments are performed to show the numerical behavior of the proposed algorithm and also to compare its performance with those of others. 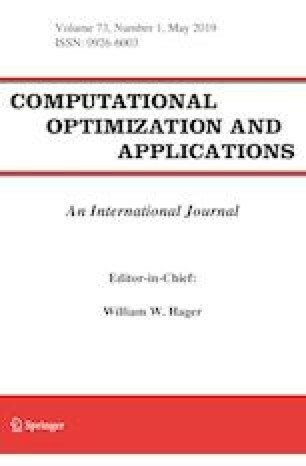 The authors would like to thank the Associate Editor and two anonymous referees for their valuable comments and suggestions which helped us very much in improving the original version of this paper. The first and third-named authors are supported by Vietnam National Foundation for Science and Technology Development (NAFOSTED) under the project: 101.01-2017.315.